Unreal... 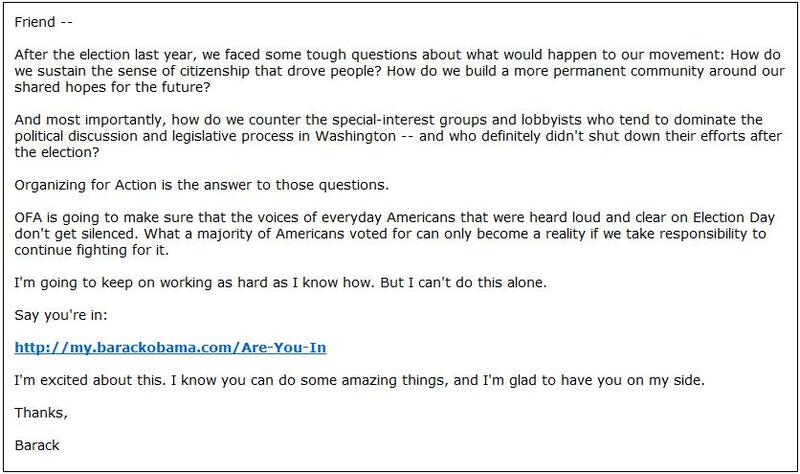 In Midst of Three Serious Scandals - Obama Sends Out Campaign Email: "Say You're In"
There’s a campaign to run! Barack Obama sent out this campaign email today to his supporters.